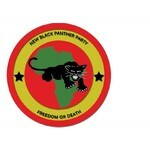 NBPP BLACKCROSS hasn't added a story. THE NBPP BLACKCROSS SEARCH AND RESCUE TEAM AND DISASTER ASSISTANCE TEAMS HAS BOOTS ON THE GROUND AND BOOTS ON THE WATER. WE NEED THE MONETARY SUPPORT TO CONTINUE OUR DIRECT TO OUR PEOPLE MISSIONS. THE NBPP BLACKCROSS HAS BOOTS ON THE GROUND AND WILL COLLECT SUPPLIES AND DELIVER THEM DIRECTLY TO OUR PEOPLE THAT HAVE BEEN AFFECTED. We are requesting the receiving of relief supplies (WATER , SANITARY ITEMS, CLEANING SUPPLIES, ) and monetary donations. MONETARY DONATIONS support the purchase of relief supplies and logistical expenses related to transporting relief supplies to individuals, families and organizations in affected disaster areas. We deliver the supplies on directly to those affected. NBPP BLACKCROSS hasn't posted any updates yet.